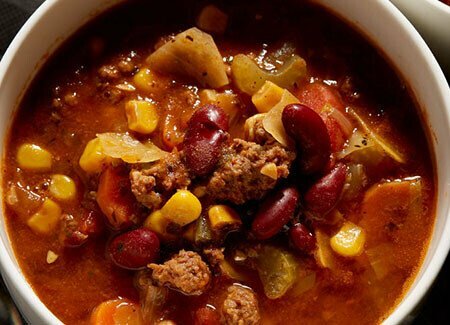 In a small bowl, whisk together all of the ingredients for the dressing and set aside. 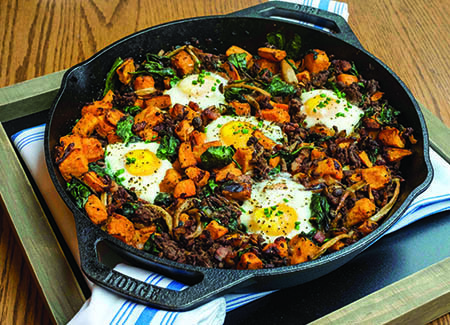 Place large, oven-safe, skillet over medium-high heat. Season the chicken breasts with salt and pepper to taste. Add the olive oil followed by the chicken breasts. Sear the chicken breasts on both sides, about 4 minutes per side. Brush the chicken breasts with the 2 teaspoons of mustard, then transfer to the oven and cook until no longer pink in the middle, about 10 minutes. 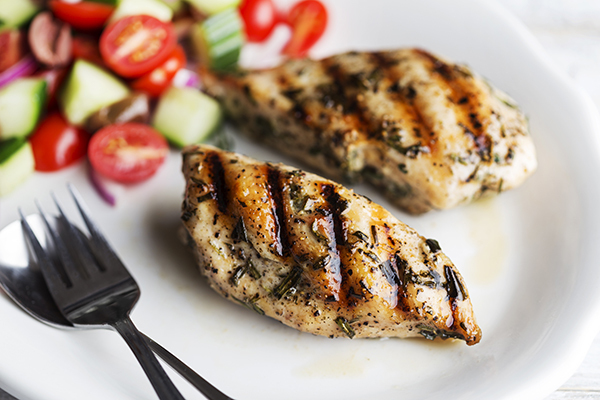 Transfer chicken breasts to a cutting board and allow to rest for at least 5 minutes. 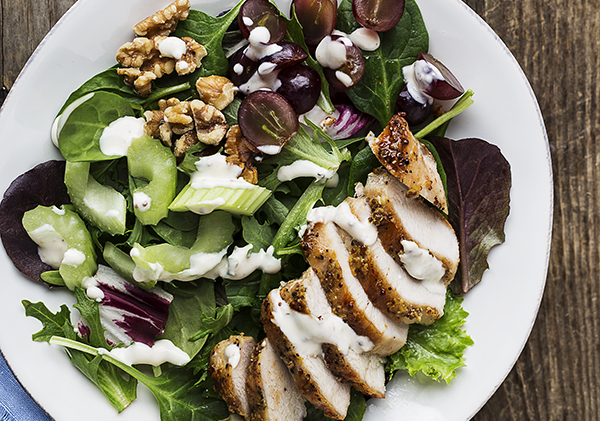 While the chicken is resting, evenly distribute the baby greens, grapes, walnuts, and sliced celery among 4 plates. Slice the chicken and distribute among the salads. Top each with an even amount of dressing and serve immediately.